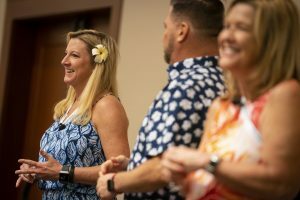 Over 6,300 members of the pediatric dentistry community gathered on the beautiful island of Honolulu, to learn, network and celebrate our specialty. An energized group of attendees helped us kick off AAPD 2018 at the Preconference Course yesterday. This meeting just got started! A special thank you to the volunteers, staff and sponsor, Sunstar Americas, Inc., that made this year’s 6th Annual Dental Home Day a success! 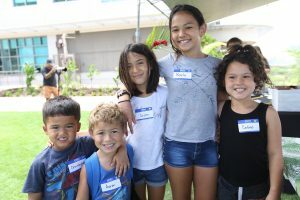 75 children were treated at Waianae Coast Health Center Dental Clinic. 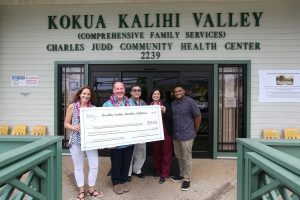 Healthy Smiles, Healthy Children awarded a grant that not only provided care on Dental Home Day, but that provides care for the upcoming year for patients at Waianae Coast Health Center Dental Clinic. Ever wonder what it takes to get the Exhibit Hall up and running? Over 120 exhibiting companies worked hard setting up their booths just for you! 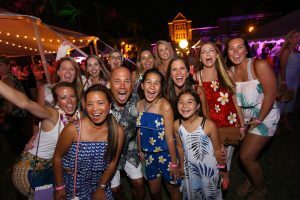 Bishop Museum was the perfect backdrop as thousands of attendees ate delicious food, played games and danced the night away. Ukuleles were played, the Science Center was explored and memories were made that will not soon be forgotten. 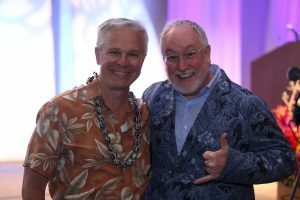 Kevin Wanzer inspired, engaged and energized us all! 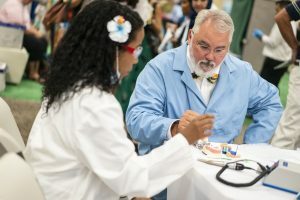 With his stories and humor, he motivated the audience to seek their true passions, embrace diversity and celebrate the sense of community that is pediatric dentistry. 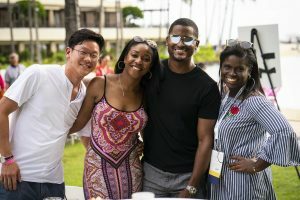 New Dentists at AAPD 2018 mingled with colleagues at Hilton Hawaiian Village. They networked while enjoying a stellar view before heading off to the Welcome Reception. 2017-2018 AAPD President Jim Nickman of Lino Lakes Minn., and his wife Jean, established a new grant award for the Academy’s Healthy Smiles, Healthy Children Foundation which helps put pediatric dentists one big step closer to providing dental homes for 1 million unserved children by 2022. Click here to read more. 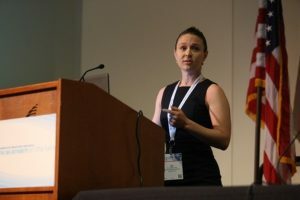 Saturday was a day of exceptional education for all attendees. Drs. Bynum and Elliott, alongside Jackie Sanders facilitated networking rounds with over 600 office staff. Key issues that come up in the office were discussed and ideas were shared. Dr. Psaltis revisited the fundamentals of behavior management and we had not one, but TWO stellar sessions on sedation with Drs. Chanpong and Quinn. 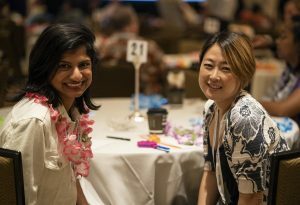 Over 400 residents were thrilled to travel to Honolulu to present their posters in the My Kid’s Dentist Poster Competition. Residents presented their research all day Friday and Saturday. If you weren’t able to stop by, the posters are in the AAPD 2018 Posters app, available in Google Play and iTunes. Last night, Healthy Smiles, Healthy Children honored their generous supporters who’ve helped provide Dental Homes for children who cannot afford dental care. 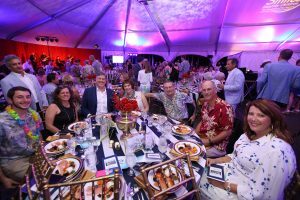 Guests celebrated the success of the Foundation on the historical USS Missouri at Pearl Harbor. 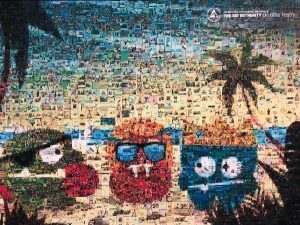 Thank you to all 6,200 of you who attended AAPD 2018, we couldn’t have done it without you! Your passion and dedication to the field of pediatric dentistry is unparalleled! The President’s Farewell Dinner was the perfect way to wrap up AAPD 2018. 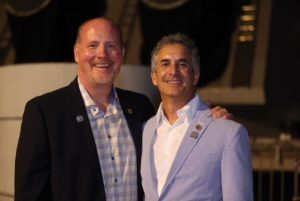 We thanked Dr. James Nickman for serving us as president of the AAPD for the past year and welcomed incoming President Dr. Joseph Castellano. All of this year’s award winners were recognized and we honored Dr. Ned Savide as the recipient of the Distinguished Service Award. Click here to see all of the 2018 Award Winners. Copyright © 2002-2018 American Academy of Pediatric Dentistry All Rights Reserved.